Thanks to news media we've become accustomed to images of raging, violent mobs in foreign countries. Just today watching Al Jazeera in my hotel room in Addis, they broadcasted a pack of enraged Muslims in Central African Republic pursuing a Christian man hiding for his life inside a shanty. The final scene ended with your worst nightmare. Sadly, the news media rarely depicts the beauty and positive across the world. I'm thankful for friends and family who worry for my safety when I travel, yet I'm oddly trusting (especially for a tiny girl who looks like she's 12). Perhaps I'm naive, but after traveling through nearly 30 countries, I have to admit I run into more people who look out to help me than who look out to get me. 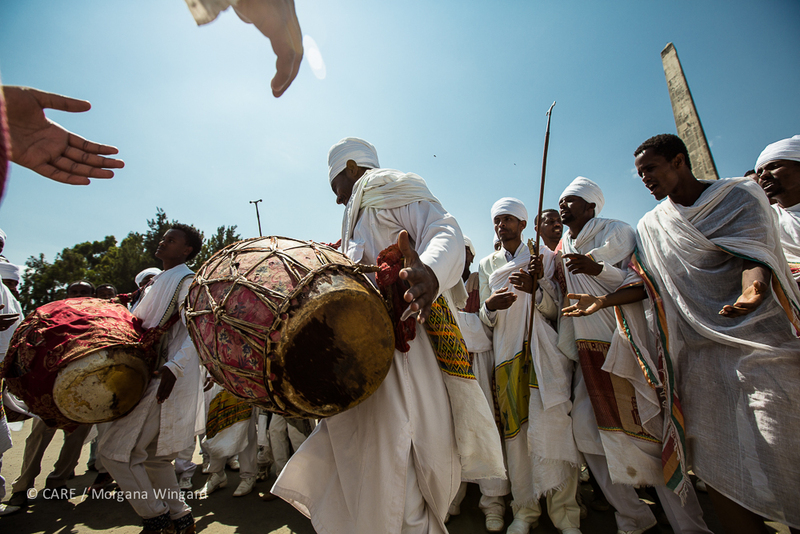 Yesterday, I lost myself in a sea of religious enthusiasts parading through the streets of Addis. 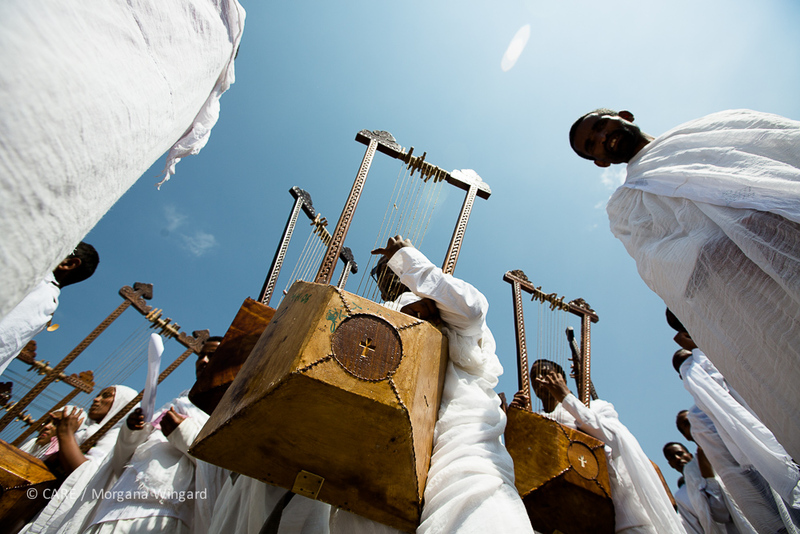 Every year on January 19th, Orthodox Ethiopians celebrate Epiphany -- the day Jesus was baptized in the Jordan. 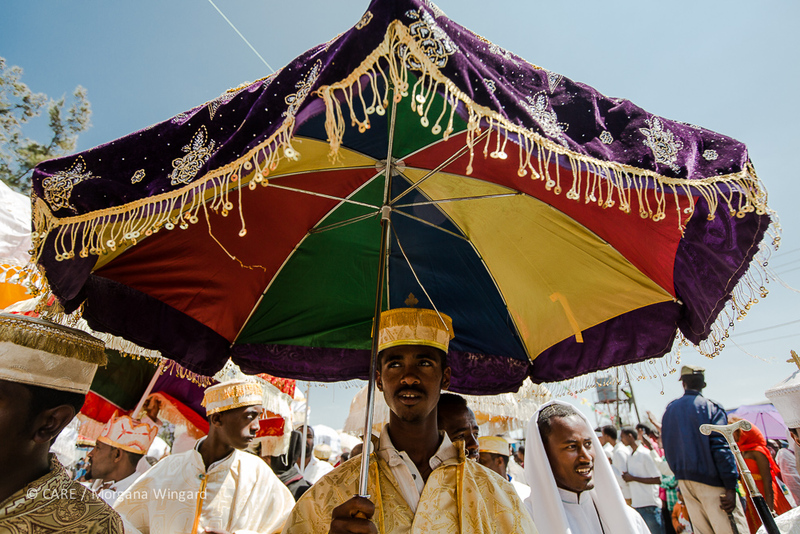 Thousands of participants dress in traditional white frocks and ornate, priestly robes before they walk, dance, and sing in a swarming parade through the streets. From the outside, this moving mass resembles the all too common crowds that flash across major news networks. On the inside, it was quite the opposite. Ethiopians, usually dubious of cameras, welcome the lens on this day. Instead of being caste out to the banks of the river of bodies, they pulled me into their celebratory circles. It was one of my favorite days of photographing ever -- even after I lost the rest of our crew. Despite the chaos, I felt safe. My gut was right. With much help along the way, my cameras and I made it safely back to the hotel despite getting lost in the crowd.